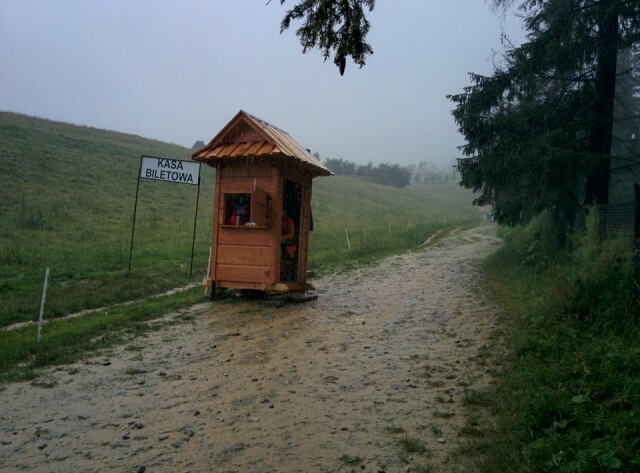 It has rained nearly all day in Zakopane today. We walked down this path which has become a stream in many places. The small booth is to collect the fee for using the path, which is on private land. The view of the surrounding peaks from where we were would have been great, but unfortunately just cloud and mist.